2017 is coming to an end in a few days time. So we are going to see what the team thinks about the last year and what they are looking forward to running into 2018. It has been an incredible year for me in the gaming world. I am always trying to improve every aspect of my hobby each year, but this is the first that I really feel I have made progress. My painting throughout this year has improved dramatically, I have taken time to try out new techniques and really try to perfect the basics first. One of my goals for this year was to win a tournament. I took part in tournaments throughout the year and I won the Alpha one Deadzone tournament mid way through the year. Being asked to come over to Tabletop games UK and write articles has also been a high point for me this year. I haven’t had the time to write as much as I would have wanted but I hope this will change in the new year. The only part of the hobby I want to improve on is my attention span to games. I have found over the last few years that I don’t play a game long enough to really get good at it. So next year i’m going to try to just concentrate on a handful of games. I hope you all had a great Christmas and a have a good new year. Craig is another new comer to the team here is what he thinks. This year may have been the most eventful and exciting year since I first stumbled into this hobby some 25 years ago. 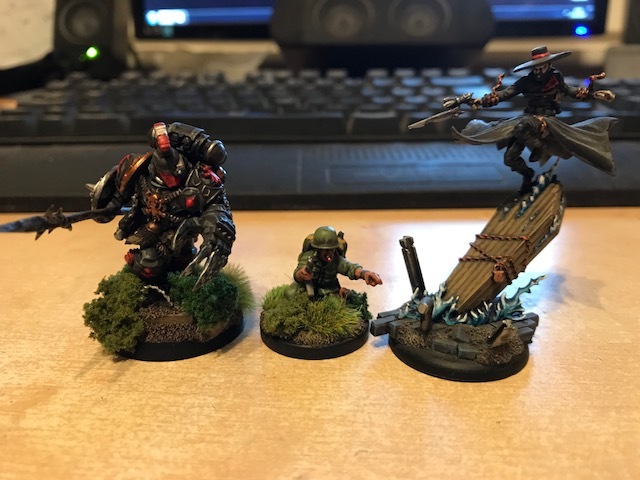 The beginning of my year saw me firmly entrenched in the world of Bolt Action with the occasional case of adultery with Malifaux and a 3 year affair with a Heresy era space wolf army for Warhammer 30k. 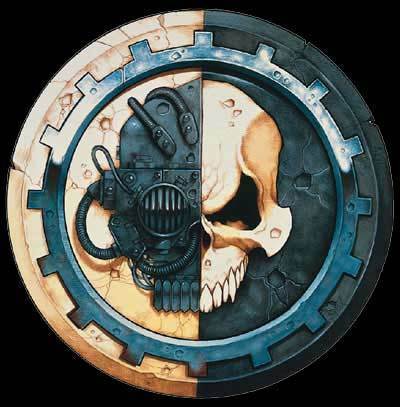 Then July happened and Games Workshop dropped Eighth edition on the 40k community and as with the previous 5 editions I welcomed it with the usual ‘meh’ as I had fallen out of love with 40k a number of years ago and it had never quite grabbed my attention like our first date back in the early 90’s. Then my high school love returned to me, a little older and curvier (in the good way). The new 40k arrived on the scene and I didn’t have an army to use having sold about 5 of them over the course of years so I started a new force, the mighty Mechanicus which can be seen here. This version introduced power levels for playing as opposed to points and for the casual gamer like myself it made prepping for a game so easy and fun to play, this has to be the high point of the year when it comes to gaming. This coming year will see me complete my life long plan of building a city fight 40k table that can be used for Necromunda, 40k and 30k but more on that to come. Kenny is another new member of the team and seems to be the resident bad guy. I’ve thoroughly enjoyed Warhammer 40K and the new edition that has rolled in. Dark Imperium was a brilliant start to the edition and all the models that followed have been pretty much superb. Death Guard especially, of course! Shadespire is also worth an honourable mention as a highlight of the year. I look forward to the impending Age of Sigmar Malign Portents. I don’t know exactly what it is but it looks dark and foreboding. Exactly how I like it! Star Wars Legion is looming closer and closer. I’m telling myself I’m not going to buy it, but who am I kidding? I’m absolutely going to buy it as soon as I can get my grubby, Imperial mits on it! Wow, 2017 is nearly done. Where did it all go? Totally sure that I didn’t get anywhere the amount of gaming, painting and general hobby stuff in that I had planned. So what has kept me busy in 2017? I have to say that I have mostly been playing a lot of Test of Honour. It’s a game I have really enjoyed playing, modelling and well writing for as well. I can’t wait to see what 2018 bring us for it. It’s not the only game I have been playing though, along with a couple of friends I have slowly been working through Imperial Assualt and it’s a great Star Wars fan game. Well worth a look at. End of the year also brought a surprise in GW’s Shadespire my first GW purchase since 40K 5th edition way back when. So beyond more Test of Honour in 2018 I also have the fun of the new Arcworlde Troubles in the North and both the Infinity and Trudvang KS dropped recently so lots of new books to read. So that is the teams though with leaves just me, there have been some really good releases and being able to expand the amount of people I get to speak to about the games they produce has been great. I probably wouldn’t go as far as to say I have made a tonne of new friends (well maybe one or two), but I have got to speak to some really great, and sometimes slightly odd, people, I don’t think I could pick out a game from 2017 that’s really stands out for me head and shoulders above the rest, swearing to steer clear of mass army games has failed dramatically as I have a rather large Enforcer Army for Warpath and I have once more donned the robes of the Emperors most loyal 1st legion The Dark Angels although where to put the Primaris Marines is proving to be slightly difficult. Looking forward to 2018 I would have to say that Necromunda looks promising but for me I am looking forward to the drowned earth. Having received some pre production models and having seen the rulebook evolve and having a small amount off input into the rules was an entirely new experience, and I look forward to continuing work with the Drowned Earth Team and seeing the Kickstarter drop, hopefully sometime around my birthday.